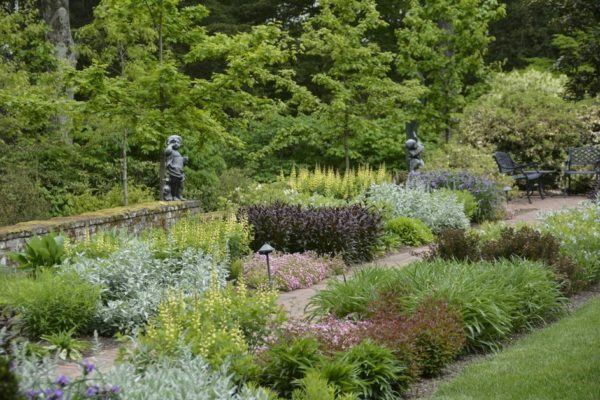 Having trouble fitting native perennials neatly into your garden? Not to worry! There are many beautiful species that work well in both naturalistic and formal designs. George Coombs, Director of Horticulture at Mt. Cuba Center, shows you how to combine perennials with shrubs and other flowering plants, as demonstrated in our South and Round Gardens. Seasonal selections for late summer will be highlighted and helpful maintenance tips are provided. The rain date for this class is Friday, September 20, 2019. This class qualifies for the following professional credits: 1 CNP credit with DNLA and 2 NOFA AOLCP.